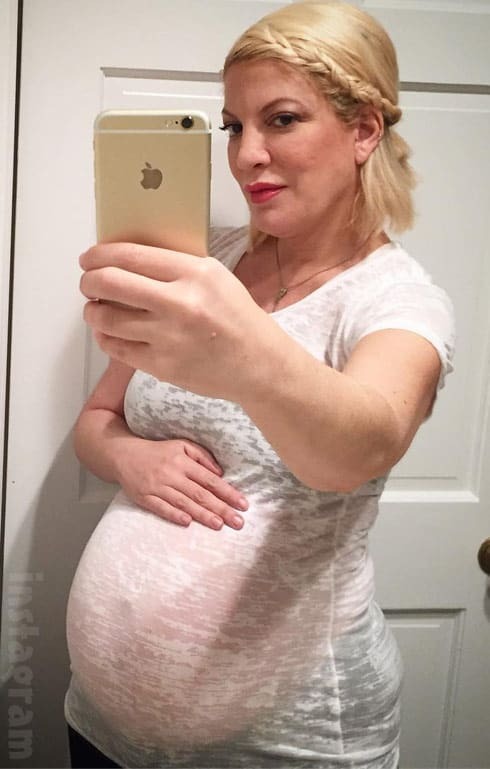 Tori Spelling is currently 8 months pregnant with her fifth child, and the 43-year-old reality star mom took to Instagram Sunday to share a very revealing photo of her burgeoning baby bump (above) — only to delete it shortly after. 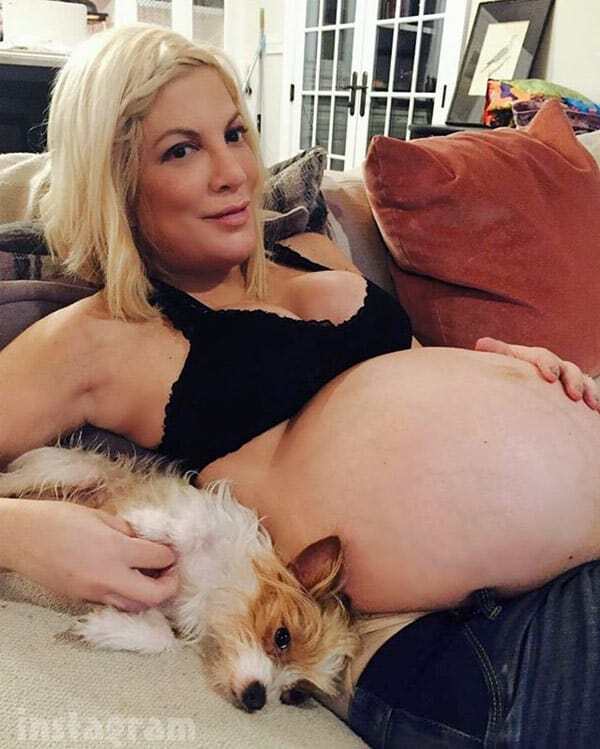 Tori revealed back in October that she and husband Dean McDermott are curretnly expecting their fifth child, and she later revealed that she is having a boy and he is due in March. “Can’t wait to meet you little man… my little Pisces,” Tori captioned the photo along with the hash tags #6weekstogo #littleman and #number5. The newest addition to the McDermott clan will join older siblings Liam, 9, Stella, 8, Hattie, 5, and Finn, 4. He will also have an older half brother, Dean’s 18-year-old son Jack from a previous marriage.